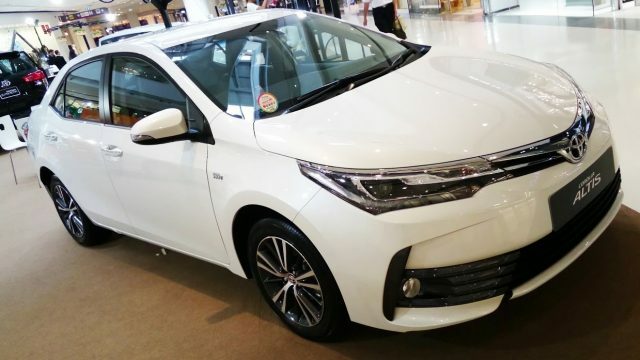 The new Toyota Corolla 2017 facelift has started to make its way to Toyota showrooms across the country. You might have already seen some in the showrooms, or on trailers on motorways towards their destination. 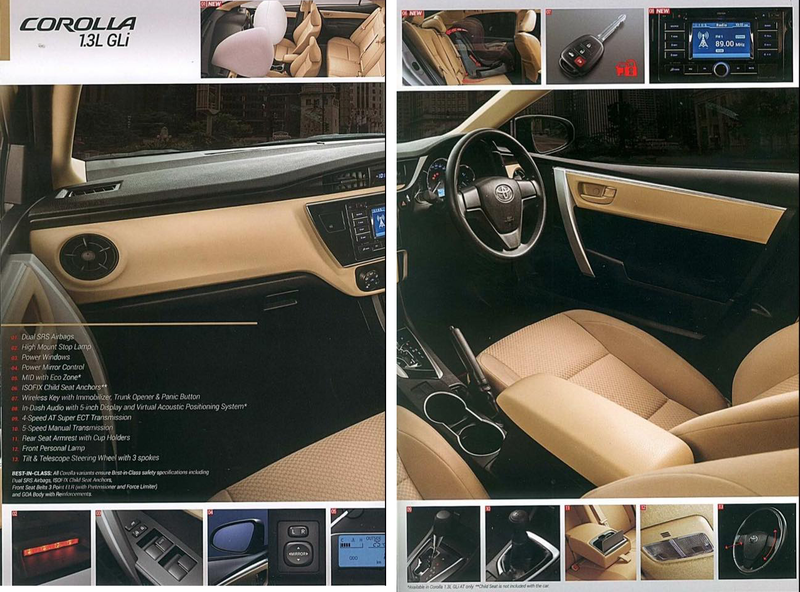 Only recently Honda Atlas launched the updated version of its Honda City with minor changes. It wouldn’t be wrong to say that people were excited about the potential launch of the new shape. But unfortunately, that didn’t happen. 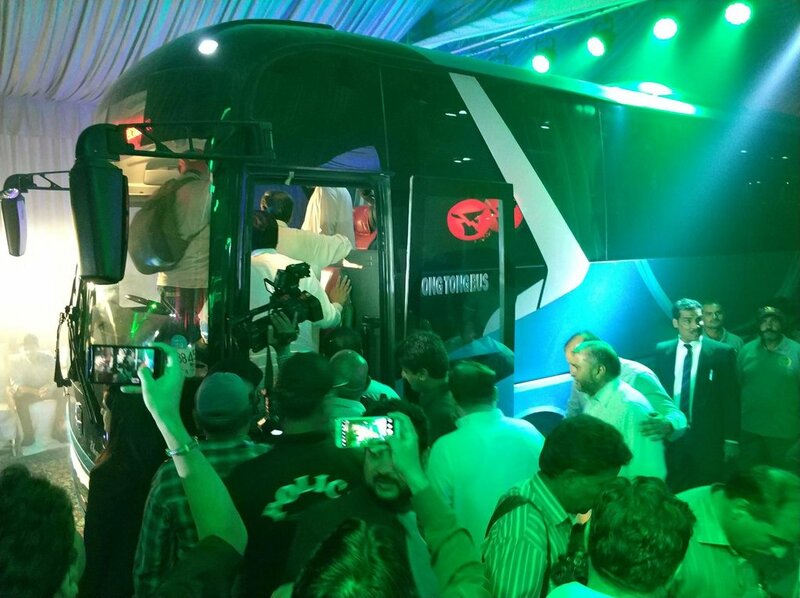 On the other hand, Toyota Indus actually delivered what was promised. Previously, one might argue that Toyota had been a bit complacent when it comes to launching facelifts. 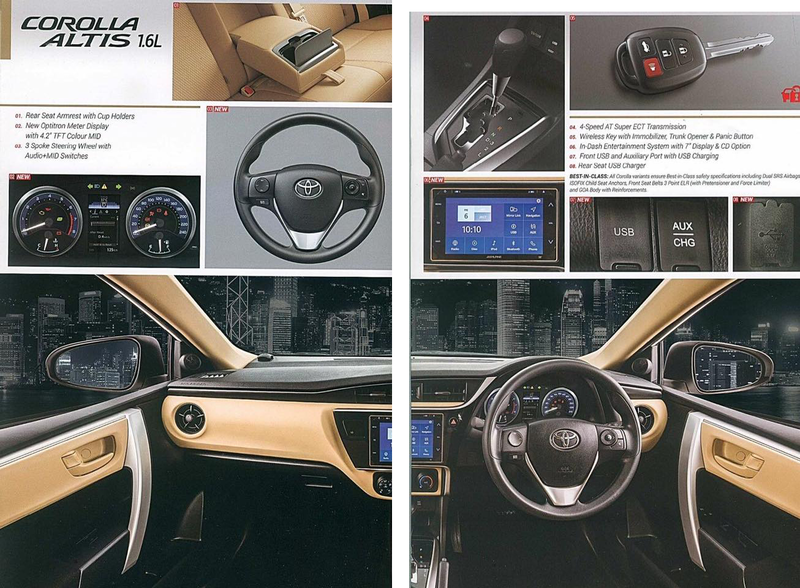 The infamously known “Indus shape Corolla” lasted a decade or so. The 9th generation Corolla also remained the same with just some changes in the grille or the lights and trims. But one can safely say that it is not the case now. 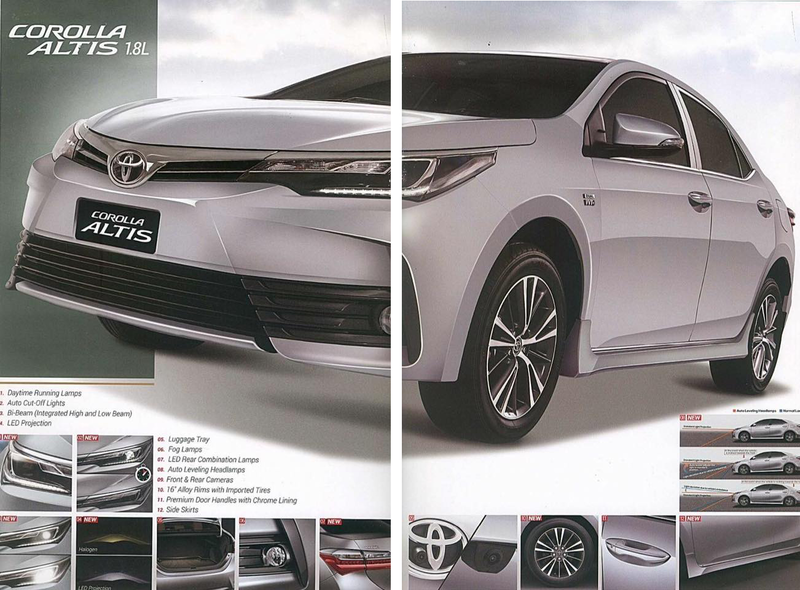 Toyota launched a facelift of its 10th generation Corolla around halfway through its lifetime. 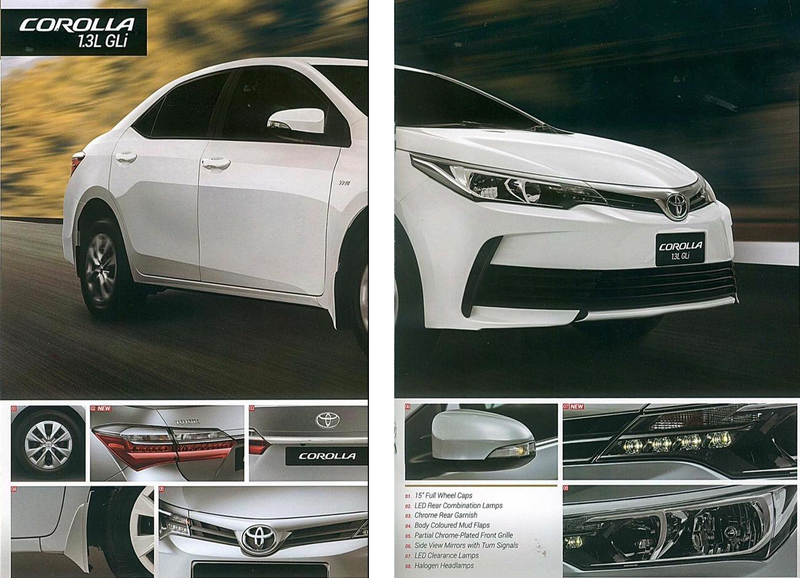 And now we have this new facelift of the 11th gen Corolla all set to hit the showrooms throughout the country. 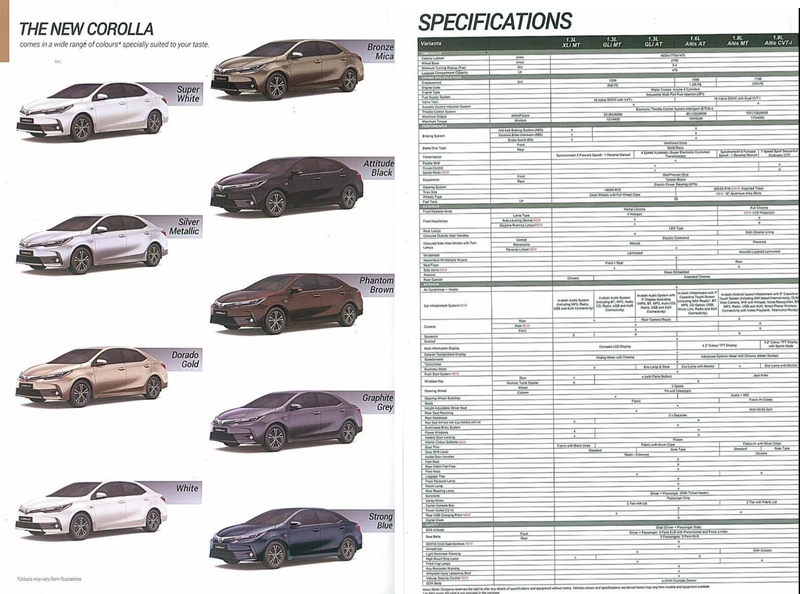 The detailed specs of the new Corolla are still a bit fuzzy. 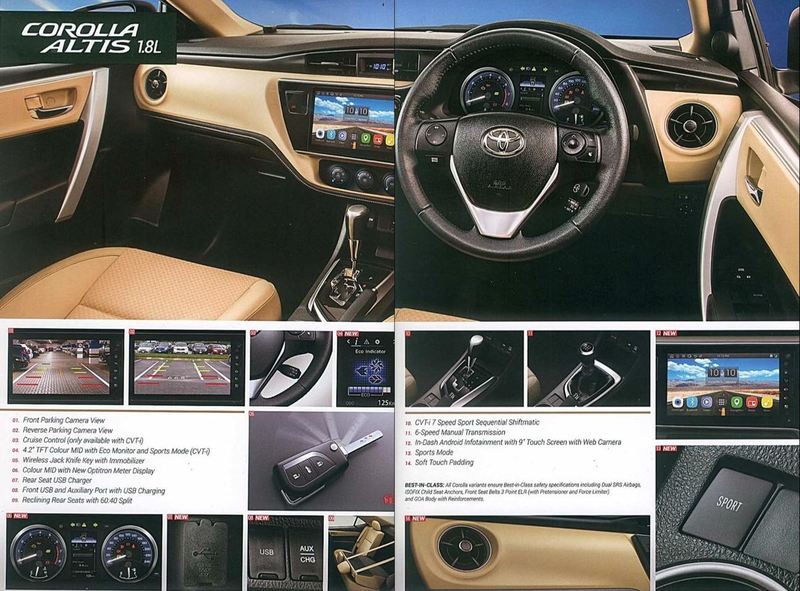 Since the car isn’t readily available, and also that the Indus Motors hasn’t updated their website with the details of the new Corolla, people are a bit confused about what to expect in the new car. 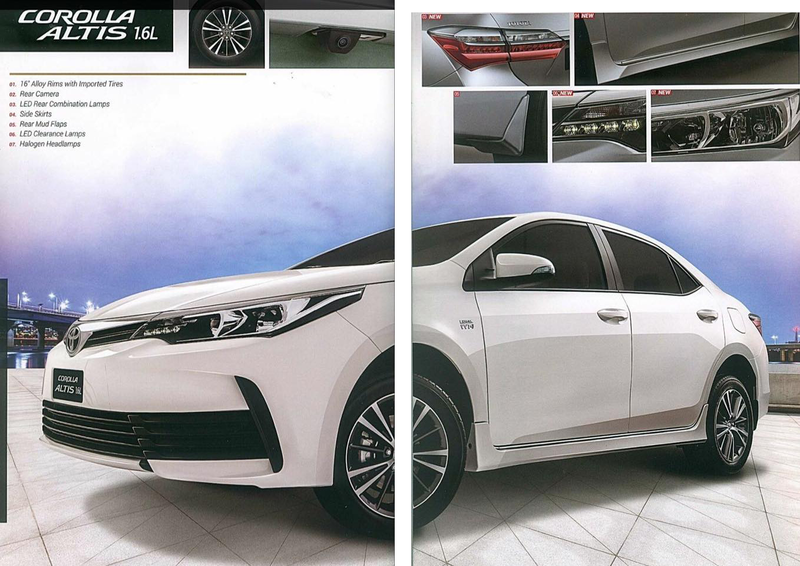 Well, the good news is, the brochure of the 2017 Corolla has leaked online and we have a copy of the leaked brochure for you. The print isn’t that great but gives a fair picture of the new car and what to expect in the new car. Let us know what you think about the 2017 Toyota Corolla. Are you excited or disappointed? Let us know in the comments section below.